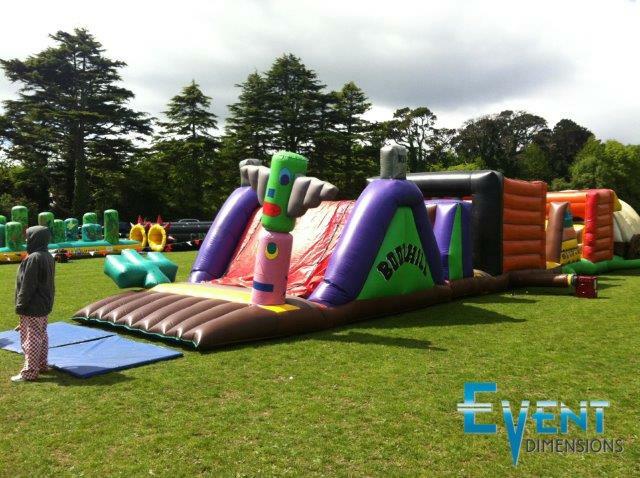 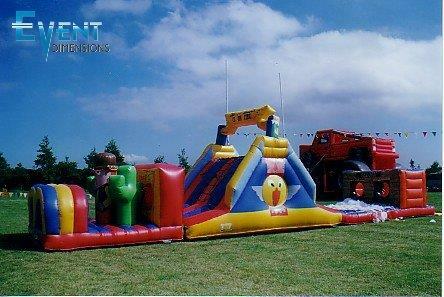 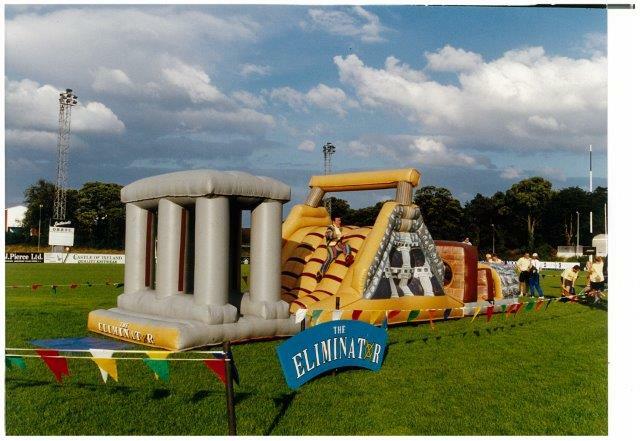 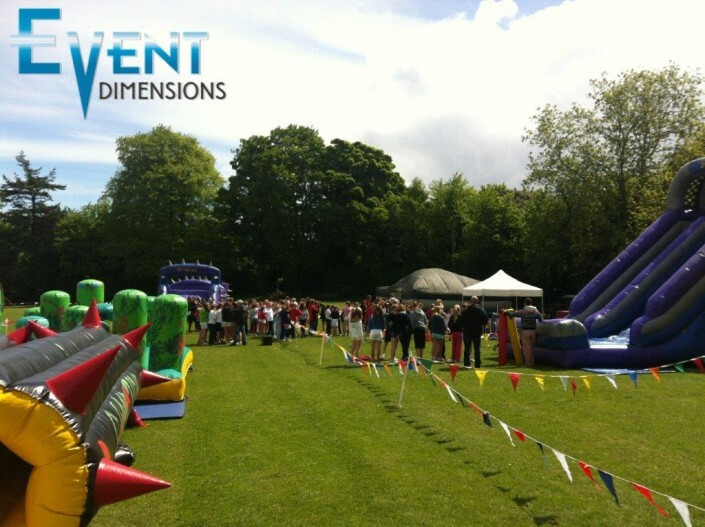 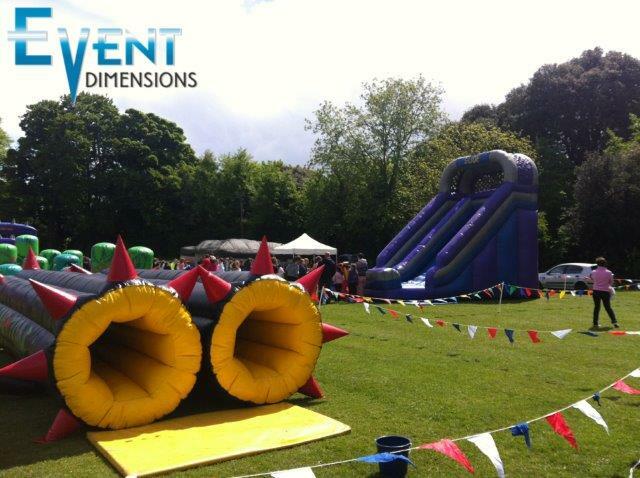 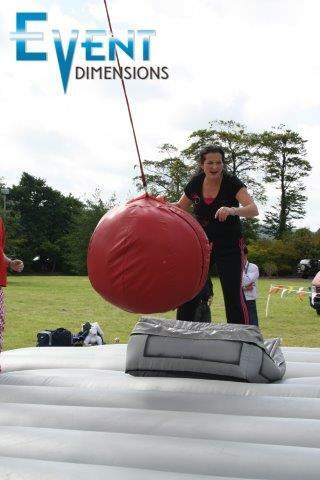 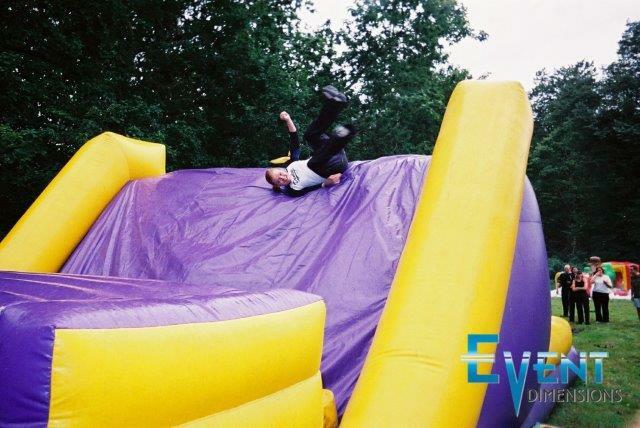 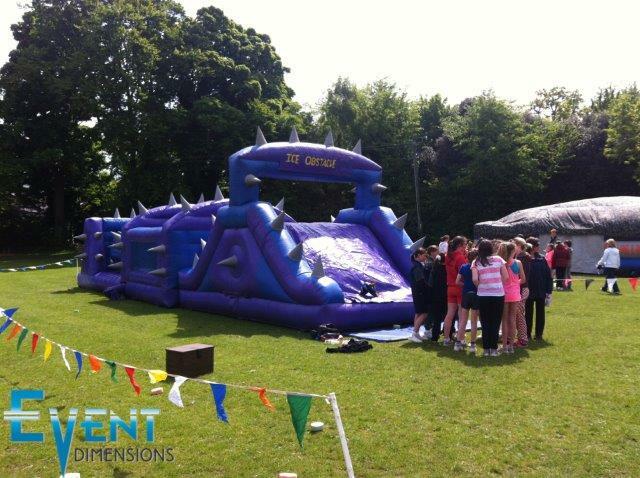 The Eliminator is Ireland’s only Multi-inflatable, action packed fun activity event. 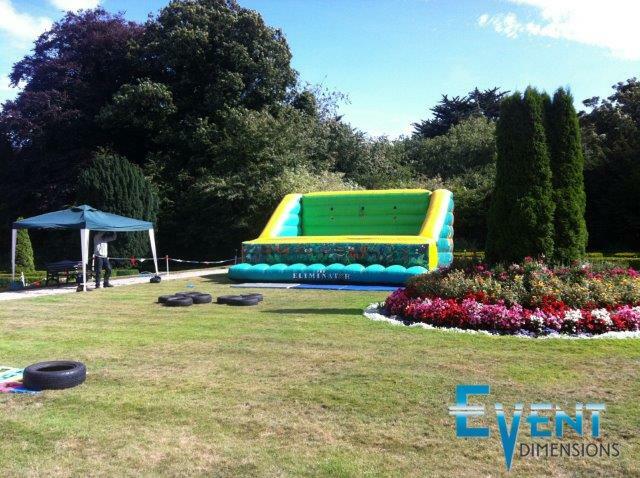 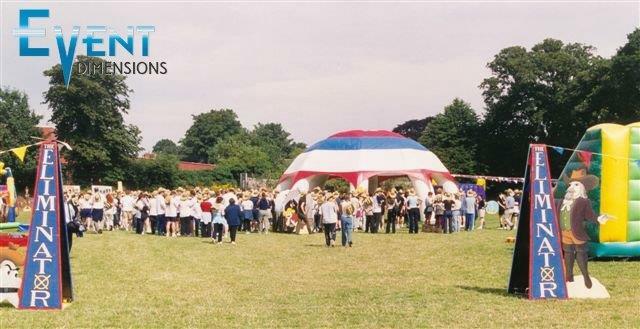 Ideally suited for team building, fun days and fundraising. 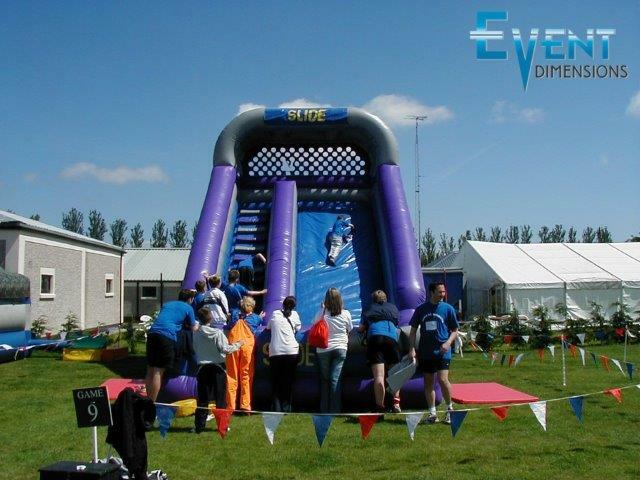 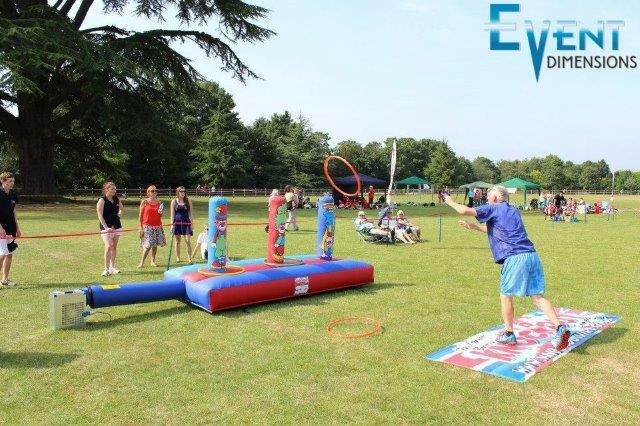 The Eliminator provides an ideal opportunity for persons of all ages to experience an unforgettable day whilst taking part in a relaxed competitive challenge. 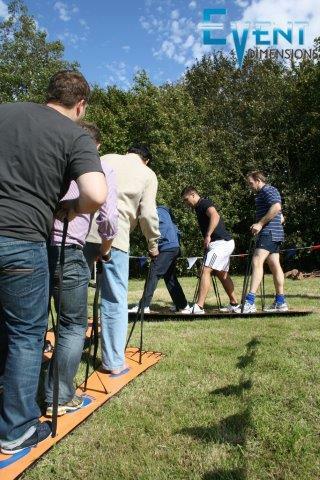 5 Game: 10 teams of 6 -10 people. 10 Game: 20 teams of 6 – 10 people. 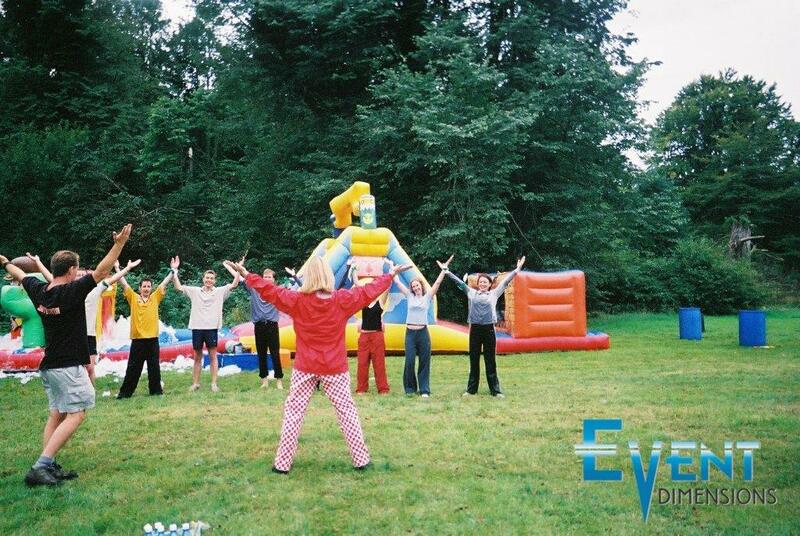 15 Game: 30 teams of 6 – 10 people. 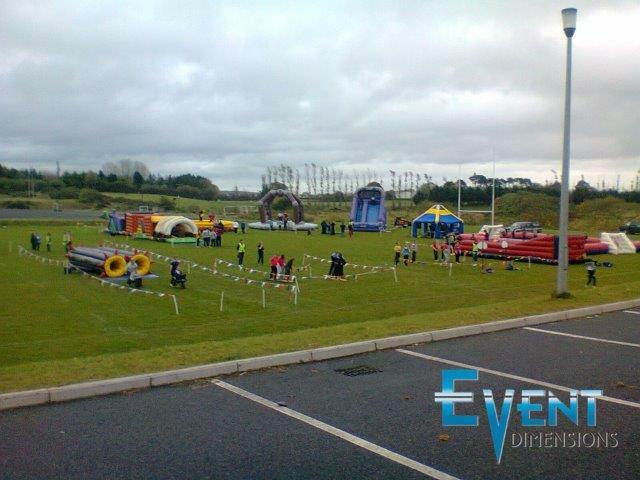 The venue is chosen in a convenient location for all the competing teams. 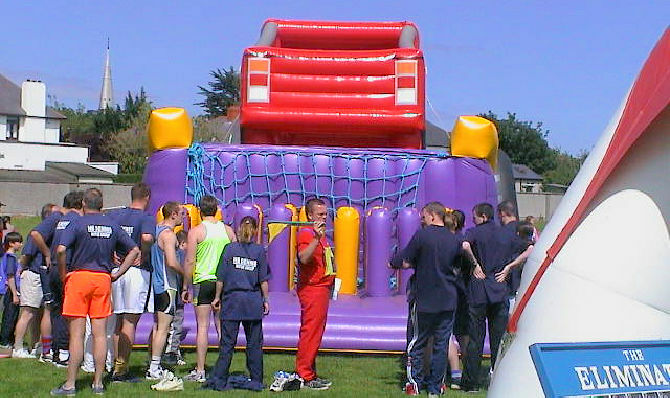 Competitors are divided into their pre-selected teams and team captains are appointed. 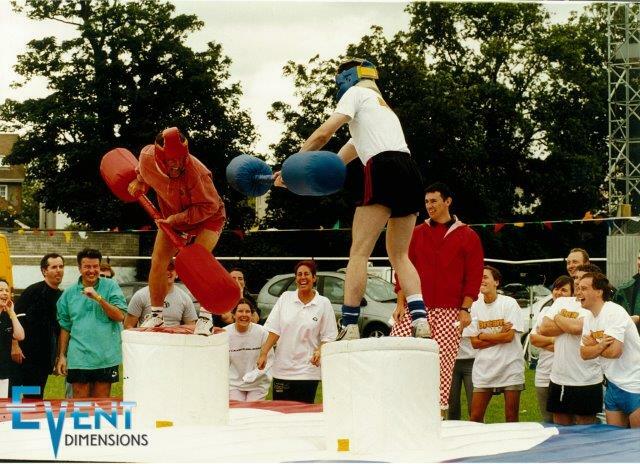 Each team gets its own identity tag and a quirky team name, if not already chosen! 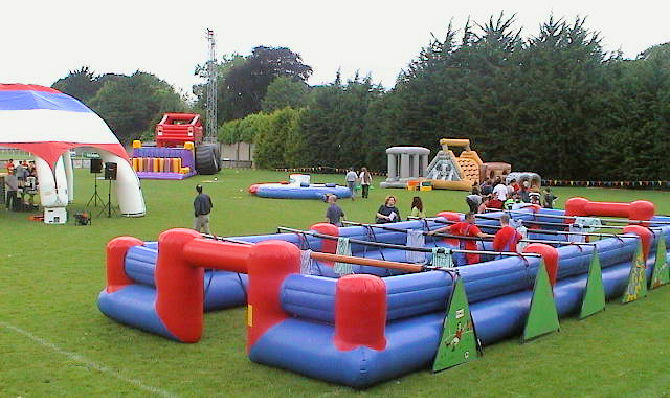 The teams then compete in different fun filled games. 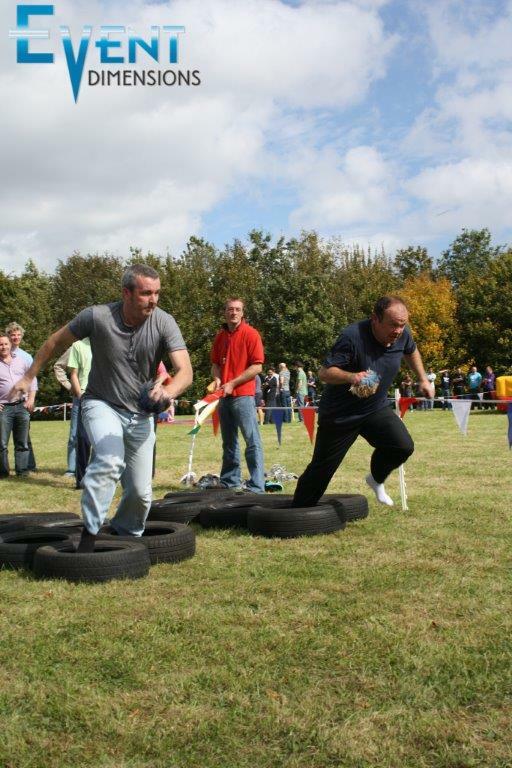 The games are a mixture of team and relay races, all played against the clock. 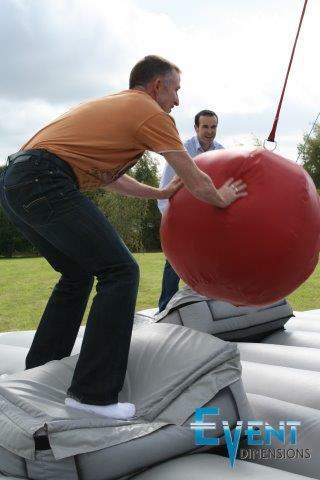 All games are challenging but great fun. 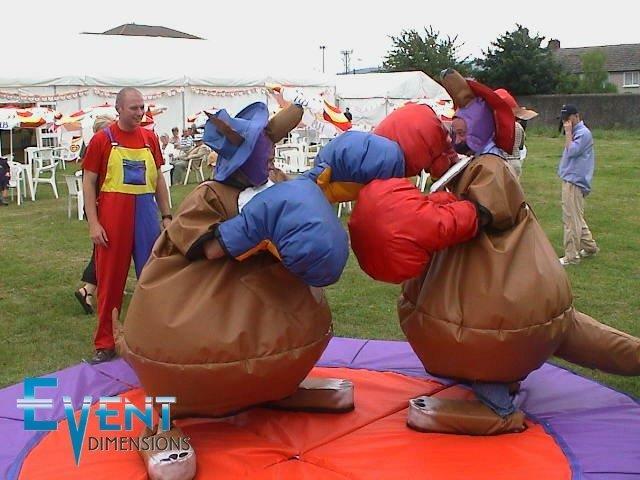 Action packed games, suitable for people of all ages. 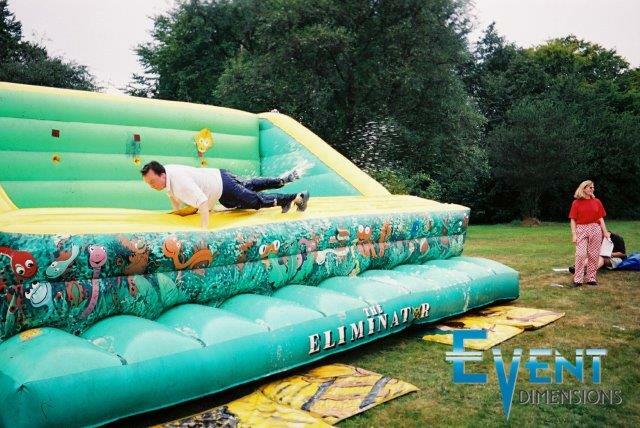 All our games are chosen for the maximum fun potential. 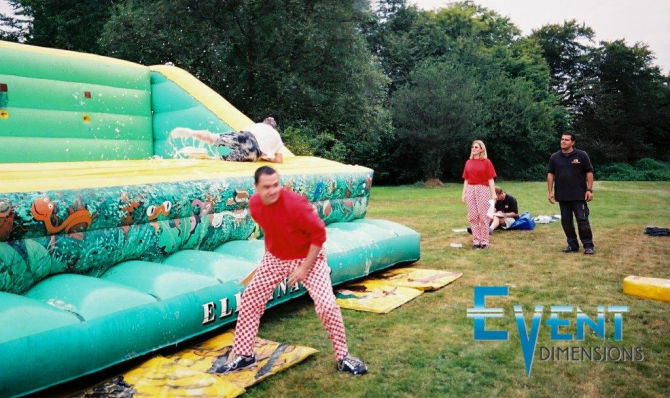 A dedicated and professional crew who make sure that safety is maintained throughout, while providing a truly memorable experience for all competitors. 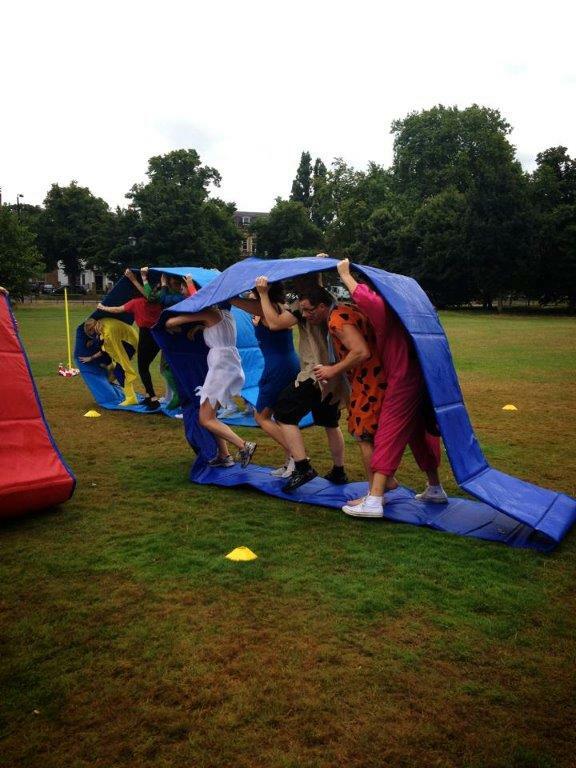 Our marshals are easily identifiable in their brightly coloured uniforms. 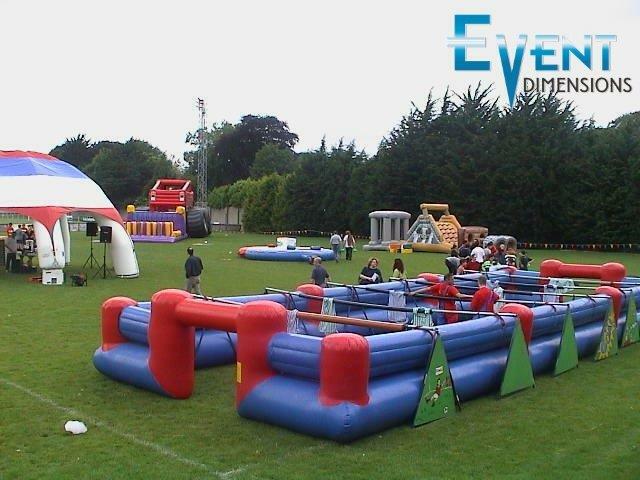 A modern sound system to provide a musical backing to the games, creating an action packed atmosphere. 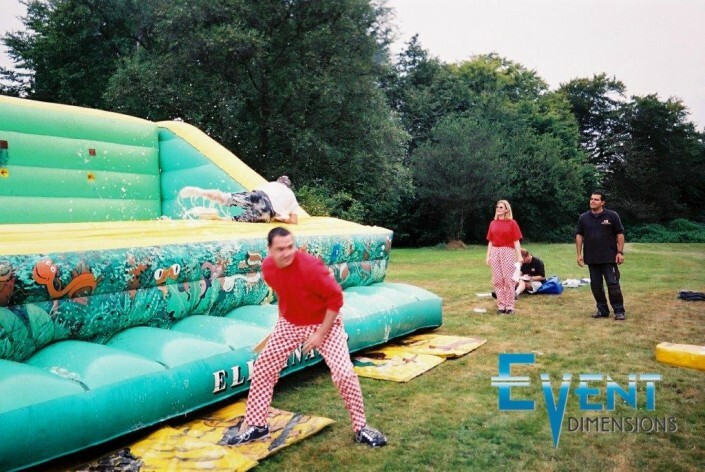 A professional emcee to provide running commentary on the events, ensuring that the competitors are the stars of the show. 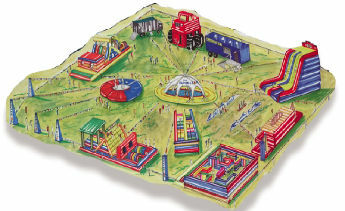 Themed colorful decoration of the playing area. 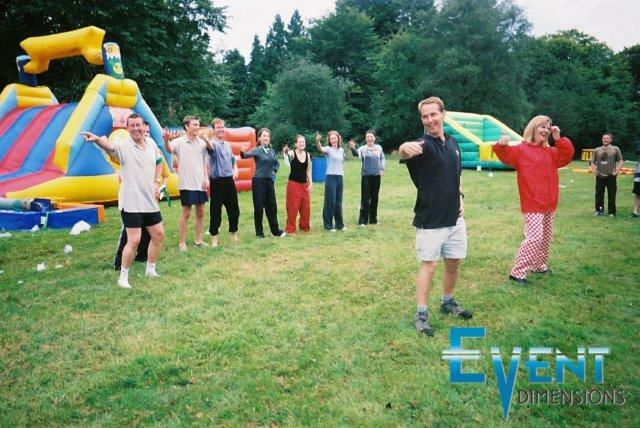 On site first aid to ensure that all events run without any complications.